Pet owners have many choices when it comes to purchasing medications for their pets, including online pharmacies and mail-order catalogs. Although these companies are quick to advertise lower-than-your-veterinarian prices, many of our clients are surprised to learn that our prices are comparable, and often times less expensive. When you purchase your medications from us, you can rest assured that they were obtained through the proper distribution channels, stored under optimal conditions, and will be fully guaranteed by the manufacturer should you be dissatisfied with the product or should your pet experience any negative side effects. 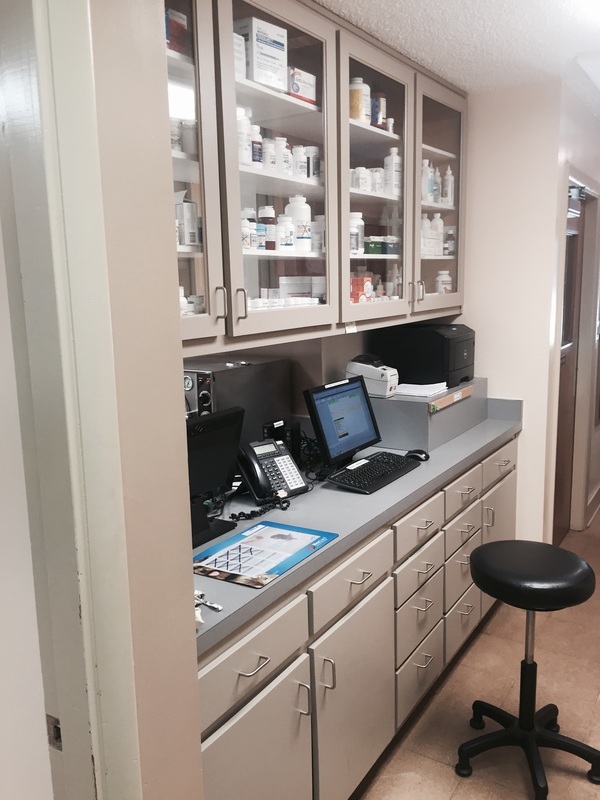 We maintain a large inventory of pharmaceuticals, flea, tick, and heart worm preventives, prescription diets, shampoos and conditioners, nutritional supplements, and much more. And, of course, if we don't have what your pet needs, we can special order almost anything and have it shipped directly to your home, or store it at our office for you to pick up at your convenience.